Get a dose of midday mindfulness. The latest wellness trend spreading throughout the U.S has nothing to do with exercise or nutrition. Instead, people are heading to studios to sit with their breath and their thoughts. Yes, meditation is drawing crowds, according to this Washington Post piece. In Washington D.C. alone, three new meditation centers have opened in the last few months. 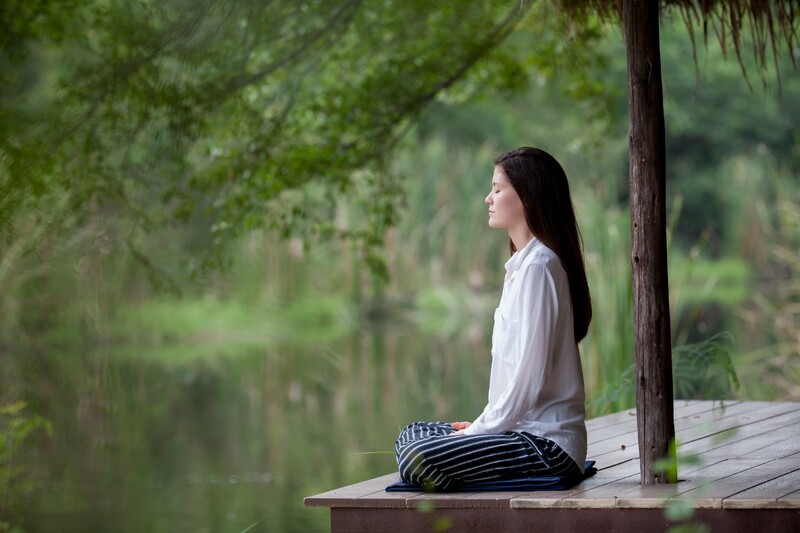 It’s not a shock that D.C. residents, who writer Megan McDonough describes as “overworked, sleep-deprived, stressed-out Type A personalities,” are looking to meditation as a way to unwind from their hectic day-to-day schedules. Evidence of why mindfulness and meditation are effective ways to unplug goes beyond anecdotes. McDonough points to research showing mindfulness programs can help with everything from stress management, alleviation of symptoms of depression and anxiety to enhanced creativity and concentration. The rewards aren’t limited to mental well-being either; there are also potential physical benefits like better sleep and lower blood pressure. If you don’t live near a meditation center or studio, the good news is that unlike many wellness trends, this one is incredibly simple to do on your own. Try these three tips to help you meditate anywhere.